Michael Daniel Ho - The Wildlife Ho-tographer: Canon Testing A Different Type Of Camera Body? Canon is ranked as one of the most innovative companies in the world with impressive patents awarded year after year. It is understood they have many projects in their labs and prototypes out in the field for testing all the time. 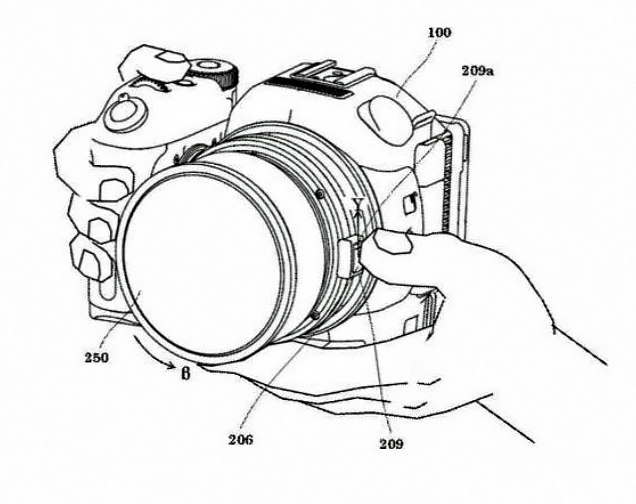 Therefore it is no surprise a completely new type of camera has been rumored to be in the testing phase. It is too early to have any definitive specifications of this experimental model but the purported shape shows it to be a radically different body and perhaps there are two separate versions, to accommodate EF and EF-S lens. My readers will recall my post earlier this month on the interview with Canon Inc.'s CEO, Mr. Fujio Mitarai, in which he commented how his company must be more innovative in order to be competitive and stay on top. I don't want to speculate on this new camera right now. Keep checking back for the latest information as I receive them.